At the American Thresherman’s Show Minneapolis Moline is King! For just a few short years my dad was a teacher and he taught in Nashville Illinois. That’s how it was that I was born in Pinckneyville. So albeit while my in this southern Illinois area was short, I regard Pinckneyville and the American Thresherman’s show almost like coming home. Kent and Annie Jansen and their clan use this great show as a time for a family reunion. In a story I did about Kent’s dad many moon’s ago, the Jansen count was around 100, it has probably expanded greatly since then! This year’s show Minneapolis Moline is the featured tractor and our friend Dan Shima headed down that way with a boat load of Minneapolis Moline collectibles that any MM collector will ooh and ah over. 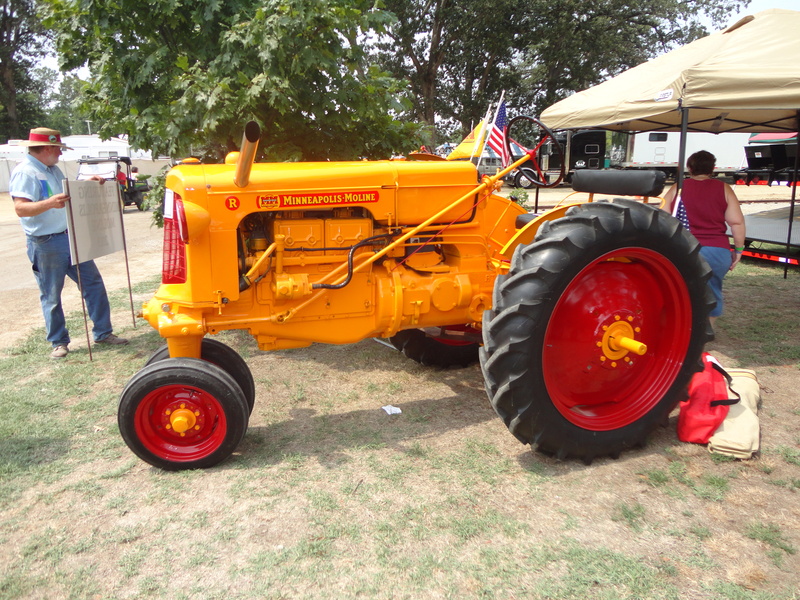 The Greers are sure to have tractors of all types of makes and models that will amaze any antique tractor buff. The show is August 14- 18th and I can’t wait to make the trek. I always want to see what they have been up to at the Rural Heritage museum that sits just across the road. Previous Post: Christmas in Amana, plan today!